HUGE CONTROVERSY IS NOW FOLLOWING THE DEATH OF A NIGERIAN 18 YEAR OLD BOY, OLUWADAMILOLA ODEYINGBO who was allegedly killed during an altercation in a street fight in Chislehurst, East London, United Kingdom. Eye witness account confirmed that this teenager died from injuries sustained in a squabble. Odeyingbo was found wounded in the garden of a home in the street few minutes past 9pm and died the following morning in a hospital, according to Evening Standard. An 18-year-old man was arrested on suspicion of murder, but has since been bailed. Detective Chief Inspector, Tim Wright said, “We understand that neighbours and people passing through the area witnessed the incident on that evening. A post-mortem examination has commenced. Detectives investigating the death of a man they believed was murdered in a street fight have concluded that he died of natural causes. Oluwadamilola Odeyingbo, who died on 10 January in Chislehurst, has been named as one of many people killed in violent crimes in London this year. However, Metropolitan Police, who claimed he was murdered in January, has now, six months later, said that he died from multiple organ failure due to a ‘pre-existing medical condition’. A spokeswoman from the Met Police reportedly said mistake do happen. 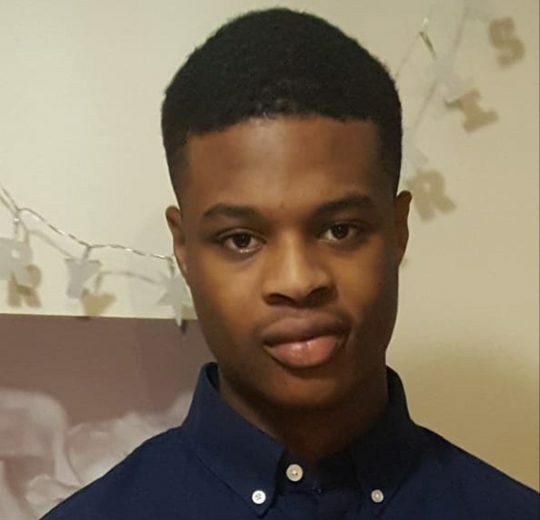 In a statement from January, titled teenager ‘murdered in Chislehurst identified’, Met Police said: ‘Detectives investigating the murder of a man in Chislehurst have named the victim. ‘Oluwadamilola Odeyingbo, 18, died in hospital on the morning of Wednesday, 10 January, from injuries sustained following a reported altercation in Empress Drive just after 21pm the previous evening. ‘A post-mortem examination commenced on Friday, 12 January. This has not concluded and will continue in due course. Detectives from the Homicide and Major Crime Command are investigating. Detective Chief Inspector Tim Wright, said at the time: ‘We understand that neighbours and people passing through the area witnessed the incident on that evening. We are keen to speak to all witnesses and would encourage them to come forward as soon as possible. ‘A young man has lost his life and we are doing everything we can to piece together what took place. They arrested an 18-year-old man on suspicion of murder on the same day Mr Odeyingbo died, but he was released on bail days later.